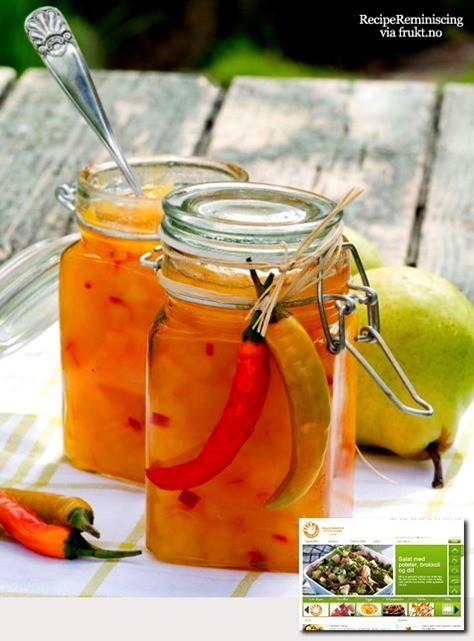 This marmalade is a delicious accessory for flavourfull cheeses. Why not give a friend a jar for Christmas? 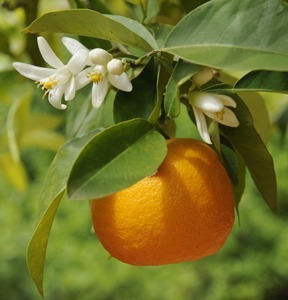 Seville orange, Bitter orange, sour orange, bigarade orange, or marmalade orange refers to a citrus tree (Citrus × aurantium) and its fruit. It is a hybrid between Citrus maxima (pomelo) and Citrus reticulata (mandarin). 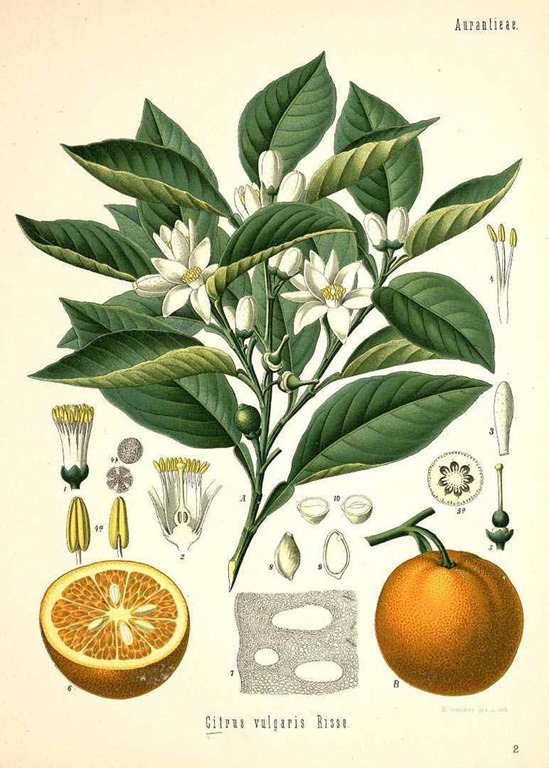 Many varieties of bitter orange are used for their essential oil, and are found in perfume, used as a flavoring or as a solvent. The Seville orange variety is used in the production of marmalade. Bitter orange is also employed in herbal medicine as a stimulant and appetite suppressant, due to its active ingredient, synephrine.Bitter orange supplements have been linked to a number of serious side effects and deaths, and consumer groups advocate that people avoid using the fruit medically. 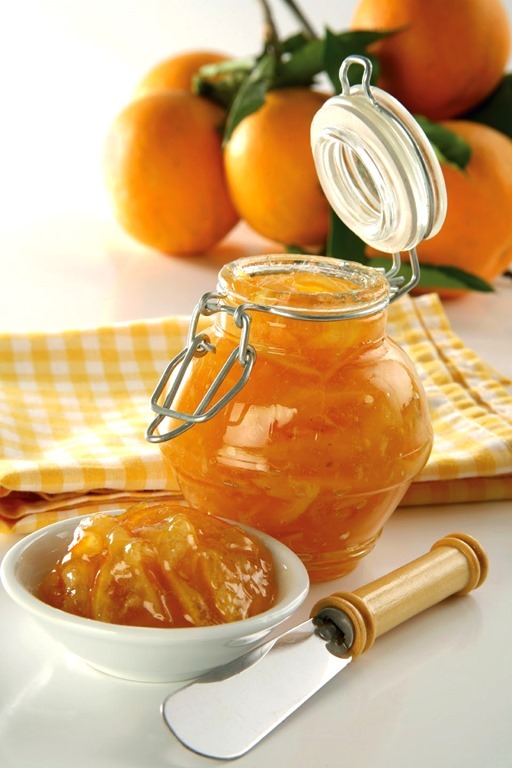 A jar of orange marmalade always takes center stage at any breakfast table and homemade marmalade, though time consuming, is quite easy to make as you can see in this marmalade recipe. There are endless varieties of Marmalade. How thickly you slice the peel depends on how you like it, just remember if cut too thin it will dissolve in the boiling liquid. 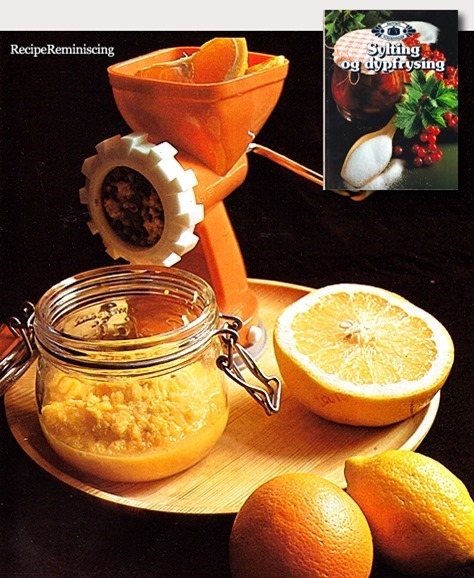 Use only granulated sugar for marmalade making. 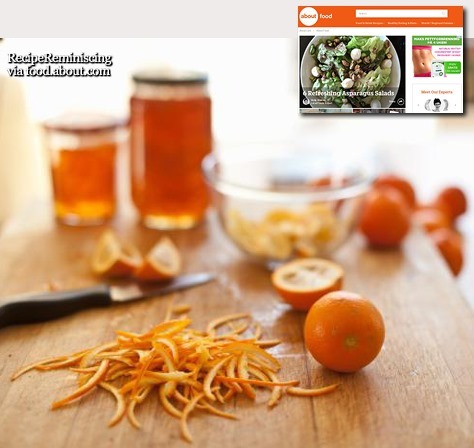 You do not need jam sugar as the oranges provide more than enough pectin for setting the marmalade. The name Marmalade comes from the Portuguese word Marmelos, a quince paste similar in texture to an orange spread popular long before the commercialisation of marmalade in the late 18th century. 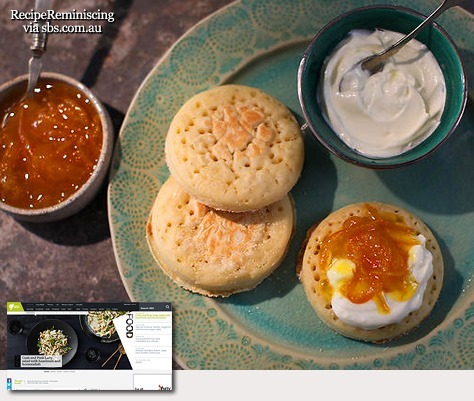 Despite the belief that marmalade was ‘invented’ in Scotland by James Keiller and his wife it was not – though due thanks must go to the Keiller who are generally credited with making the delicious breakfast preserve commercially available. The romantic notion of James Keiller discovering a cargo of bitter oranges being sold cheaply which his wife then turned into jam has long been outed considering the existence of recipes for similar ‘jams’ dating back to the 1500s. According to food historian Ivan Day, one of the earliest known recipe for for a Marmelet of Oranges (close to what we know as marmalade today) comes from the recipe book of Eliza Cholmondeley around 1677. Thick Cut – the orange peel in the jelly is cut into thick chunks creating a tangy bitter flavor. 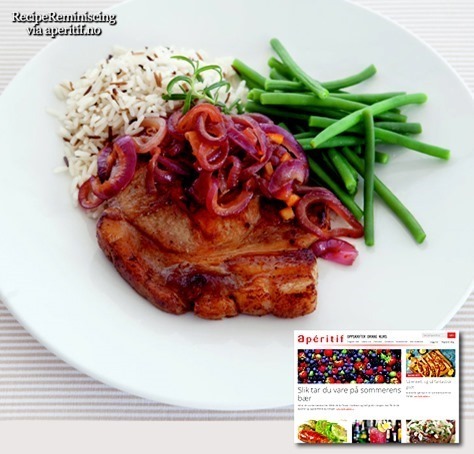 Thin Cut – the orange peel is shredded finely resulting in a softer flavor and texture. Flavored – endless varieties with added flavors; whisky, Grand Marnier, ginger, or a mixture of citrus fruits. 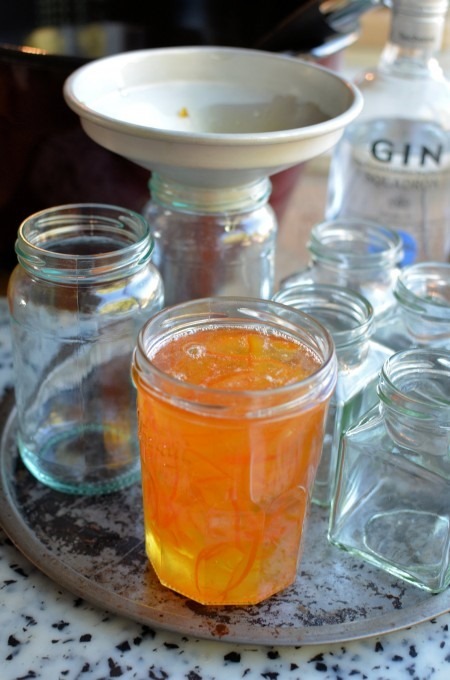 Vintage – marmalade left to mature for a denser, richer flavor. 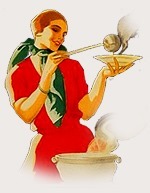 Black – made by the adding of brown sugar or black molasses. 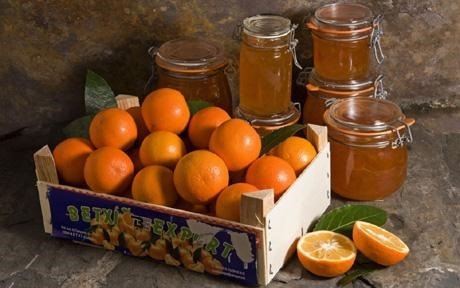 The bitter oranges needed for making true marmalade are only available in late-winter to early spring. Seville orange pulp is also available year-round in cans which it does make a good marmalade, though frowned on by purists. 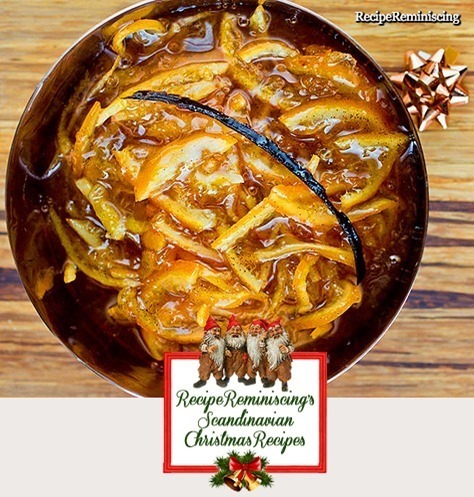 Read more here: A Comprehensive History of Marmalade from the World Marmalade Awards. 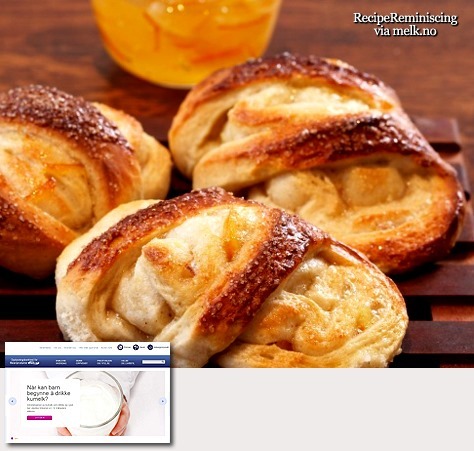 Marmalade is fine filling for buns. Here the dough is shaped like a flower. The buns are well suitable for freezing.